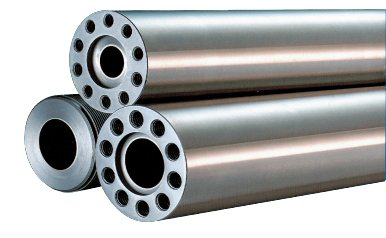 Industry leader in bimetallic barrel technology manufactures the bimetallic injection barrels. Highest quality standards are provided by these efficient barrels. Continuously improved alloys guarantee optimum process conditions. Through wise selection of the optimum alloys for the wear resistance requirements and specific abrasive, an extended work life is provided. For barrels Eliminates contamination of the process or degradation through One piece barrel construction i.e. of up to 6100 mm (240”),.